So last week as its the school holidays I took my biggest kid away for a girls trip just me and her for the night to Birmingham. We had a fantastic time and crammed lots into a 1 night/2day stay. I thought that I would write a blog post about our little trip and hopefully give you some ideas for something to do with the kids. We travelled with national express coaches from Manchester because it was definitely the most affordable option as a non driver. We paid £32.80 for a round trip which took around 2 hours 30 minutes each way and we didn’t have any delays even with heavy traffic which was great. The coaches are comfy and clean with plenty of space. One thing for us that we didn’t like was that the seatbelts were a bit uncomfortable, but safety first. Unfortunately for us we had a incident with travel sickness ( daft mum forgot to get some travel sickness medicine and paid for it with a shower of sick). I’m really lucky that this was on the way home but we didn’t have any wipes and were very unprepared for puke gate! Luckily I had a bag full of crap to hand which I very quickly emptied whilst shouting, ‘ wait for the bag pleeeeaaassseee, wait for the bag’. Bring travel medicine, empty bags ( just in case ) and wipes because although there is a toilet on board unfortunately for us there wasn’t any loo roll. We stayed very close to the coach station in the Adagio Aparthotel about a 3 minute walk and this was such a good idea as we decided to drop the bags off before exploring. Although we were not due to check in until 3pm the hotel were great and kept our bags safe on both days so that we were free to come and go. The actual apartment itself had everything that we needed. Comfy twin beds, TV , desk area which Ella loved, bathroom with wet room and a fully equipped kitchen. If you were there for a longer stay the kitchen had everything needed including a microwave, fridge, kettle and even a coffee maker. We didn’t have breakfast because we were up and out early the next day but there was a large selection on offer something for everyone. We paid £58 for our room and booked via booking.com. Definitely value for money and would absolutely recommend the adagio chain on the back of this trip. On our 1st day we visited Cadbury World which is a train ride away in the town of Bourneville. Its about a 15 minute walk from the train station and really well signed, just follow the purple signs and as you get closer the amazing smell! We booked one of the later slots at 3.15 and so to be honest were shattered from travelling by the time we had got there which I feel might have taken away from the experience a bit if I’m honest. When you arrive you wait for your slot to be announced and then in you go. You are advised to come 1.5 hours early to visit the other attractions which include a Cadbury themed play area and a 4D cinema. I absolutely loved the 4D cinema although we did have to queue for this it was worth the wait. On your way in you are given some chocolate bars each and then its in to look at the history of chocolate making and Cadbury. Now although it was great visually for me this section was a little long and I feel could have been broken up. Also because you have to go section by section you have to wait for each bit which for littler legs can become a bit boring. But after this bit you did get more chocolate soooooo silver lining. We enjoyed the hands on sections where you could write your name in chocolate or have ago at some chocolate tempering. You then wait to ride on a car through a kind of its a small world inspired cocoa bean world which was a nice break for our legs after waiting in the queue for 30 minutes. Best bit by far was getting to try some melted chocolate with a toping of your choice. Marshmellows for Ella and popping Candy for me … amazing. The gifts shop was pretty reasonable and we left with lots of chocolate and tired legs. Now with a Lego mad six year old this was what I was most excited for and it didn’t disappoint. From the minute we walked up to the building and saw the giant Lego giraffe waiting to greet us outside Ella was in Lego heaven. I had booked us an 11.15 slot and so as we arrived a little early we had breakfast in Costa Coffee which is next door. There is an option to add an activity pack for £4 ( we got it for £3.33 special online offer) I would definitely recommend getting this as it adds to the whole excitement, there are little activities to complete throughout and stamps to collect at each station. If you collect all of the stamps and show this to the person at the gift shop they will give you a prize ( in our case a Lego artist figure which made for a perfect little memento). You have your picture taken on a Lego green screen and are then taken down via the Lego lift into the centre. We loved the 1st ride you visit where you have to shoot the trolls and bad guys to rescue the princess and get points for each one hit. After that it was through to the miniature city room where the most perfect Lego displays came to life with sections of Birmingham including Cadbury world! You then enter a room with different sections including a soft play, lego duplo area for smaller kids, a ride and even a 4D cinema! The 4D cinema shows 3 different shows which are looped every half hour. There’s a countdown outside the screen so that you don’t miss it and its a good size screening so we didn’t have to queue for very long at all. We only saw the one show but I now a lot of families managed to get all 3 and plan ths activities around the rest. By far Ella’s favourite section was the Lego friends area where she had her picture taken with all of the intricately made characters and had a go at building her own Lego creation. There was a competition on to build your own design using your name which we had a go off and everyone seemed to enjoy getting involved ( some of the parents seemed to enjoy it more than the kids). In a side room we had a go at making our own Lego caterpillar with one of the guides showing us step by step and then Ella got to meet Wild Style a character from the Lego movie and have her picture taken. There is a café on site which is a Costa Coffee based with kids options. We had already eaten so just bought drinks and an ice cream. I’ve see worse in regards to pricing but with a larger family could get pricy. I booked all tickets online. Last stop was the gift shop and there was an option for all price ranges. Ok the kids all want the top shelf ginormous Lego sets but with a bit of gentle persuasion Ella was more than happy to leave with a few smaller sets ( even if one did get ruined by puke gate). We only really saw the areas around the bullring and on our way to Cadbury World and Lego land. Luckily for us the Bullring shopping centre was really close and so we had lots of options for food and a bit of a time killer when needed to look around some of the shops. We walked for most of the trip with the longest walk being to Lego land which took us around half an hour at a slow pace. The train station is also walking distance from the Bull Ring and we found it easy to use for our trip to Bournville. We passed an Odean Cinema and the new Primark which, is the biggest in Europe, has just opened which we sadly missed with its very own Disney Café! This was probably a good thing for my bank balance to be honest. There’s also the Think Tank museum which we just couldn’t squeeze in but looks great. All in all we really enjoyed our girls trip to Birmingham. It wouldn’t have been the 1st place on my list for a trip with kids but actually there is a lot to pack in and I think that Ella’s favourite part of it all was staying in an apartment with her own desk! I would recommend if you haven’t visited before and I’m sure that we will be back again. Just a warning before I start my blog post if you find it difficult to read birth stories that are a little traumatic please give this one a miss. I don’t want to scare anyone in any way with this post and I understand that some people are triggered by stories like this (I used to be one of them). I have toyed for a while with telling this story and it’s only now that I have seen both sides of birth that I feel I can. In hindsight I now wish that rather than shying away from birth stories and the facts about giving birth with my 1st pregnancy that I had soaked it all in like I did with my second because I had a much more positive experience because of it. So here it is my 1st birth story…. So ten days after my due date and the day after a good old sweep (all dignity out of the window from here) no signs of baby. I went shopping with my mum and sister, had lunch and bought baby girl a beautiful rag doll which she still has now. Myself and my mum came home on the world’s bumpiest bus and as I got up to get off I remember thinking ooooohhhh something doesn’t feel right…. My mum took me home and the only way I can describe it is that I felt like everything had dropped. Still no signs of baby by bedtime and so I went to sleep a bit excited and nervous in my head I think I knew something was starting….. I waited as long as I could but finally rang the maternity unit and they suggested coming in. We picked my mum up on the way and upon arriving I had a check to see how dilated I was. At this point I was having to stop for the contractions and I remember thinking please god be enough….luckily I was 5 centimetres and they agreed to get me to a birthing pool. At this point things were so calm and lovely the water really helped with the pain. I could here screams in the room next door and the midwife was great at keeping me calm. I took the gas and air once I started to panic and felt this helped me to control my breathing…. After what seemed like forever and lots of internal exams the midwife explained I wasn’t progressing and they were concerned for baby. I had been so calm up until this point and felt the panic wash over me. She said she would like to break my waters to get things moving. I agreed and from there to be honest it’s a bit of a blur…. We were moved from the lovely birthing pool room to a delivery room and I was lay on my back with monitors everywhere. There seemed to be people in and out of the room constantly. My poor mum and partner were amazing and if have told me after how scared they were but they didn’t show it at the time. I was given something else for the pain which made me sick and feel so out of it I kept forgetting where I was…. At one point a lovely midwife asked me if I had though about having a C -section …. My mum had told me not too and in all honesty I didn’t know much about it …. the nurse explained that the way the baby was lay meant the doctor would need to intervene and she really thought I should consider it her eyes said everything I needed to know and at this point I agreed and the anaesatist arrived soon after …. It’s all very blurry from here …. I remember feeling sick and pushing so hard because I didn’t want anyone ‘helping’ to get the baby out …. after what seemed like forever and with so many people in and out the doctor came in and attempted to turn the baby…. she was then delivered with forceps and an episiotomy (I won’t go into too much detail here) …. hearing that 1st cry is indescribable …..
She was cleaned up and put onto my chest for skin to skin while I was stitched up …. I remember thinking I would drop her I was so weak that was because unknown to me at the time I had lossed so much blood …. she was amazing …. love at 1st sight …. even covered in gunk and with her poor head swollen from the forceps …. she went straight in to feed on my breasts and just like that I was a mum! After a few hours sleep we were transferred to a ward and instead of sleeping I sat up all night watching my baby sleep …. she didn’t cry once and I was so worried something was wrong I checked her breathing constantly …. the other babies on the ward were testing out there lungs but she lay so peaceful …. I studied her that just drank in everything about her…. counting her fingers and toes …. watching her nose twitching as she slept…. and just like that she was here. Thanks for reading …. I’m planning on my next few blogs being about post natal care and my 2nd birth which was the polar opposite I promise! It has been a very long time since my last blog ….. Sorry! Going back to work, Xmas and all those life excuses have gotten in the way and my poor blog has fell well by the way side. But here it is the 1st blog post of 2019 and I know how exciting that must be for you all ( LOL’s at my own sarcastic joke). For Xmas I made my husband a photo calendar as one of his presents and looking at the different pictures from each month of 2018 really made me think about how the year had gone. It felt like 2018 passed with the blink of an eye but actually we fit so much in and so I thought I would share with you all my 2018 round up …. January for me meant the count down to maternity leave. I was fat, frustrated and fed up! My back and pelvis was causing me so much pain as the baby was lay the wrong way and we had a few extra weight scans for him causing us to worry on the run up to the big day. Ideally I would have loved to work up till popping but I just couldn’t and after lots of internal guilty chats I decided to start my maternity leave about 4 weeks before my due date. This was definitely the right thing to do and I spent the next month prepping, resting and spending time with my girl. On the 27th February he made his entrance into the world ( I won’t go into that now but maybe a birth post is something for the future?). We spent the next 2 weeks together as a family (thank fook for paternity leave) and were besotted as a little family of four with our new guy. This meant that the majority of 2018 for me was spent on maternity leave. I 100% mean it when I say I feel so thankful to have been able to spend that time with my boy and be paid fully for 6 months of it. The worry and stress I had with my girl was not there and I was free to just lap him up. He had his 1st xmas, learnt to crawl and seems to be fearless! We were lucky enough to go on 2 family holidays in 2018 and because I was on maternity leave didn’t have to worry about booking time off e.c.t. We did however have the struggle with school holidays (why do they make it so expensive to go away during the hols?). Holidays with 2 young kids is a completely different ball game but the hot weather helped with long siestas for baby and pool time for the big girl. 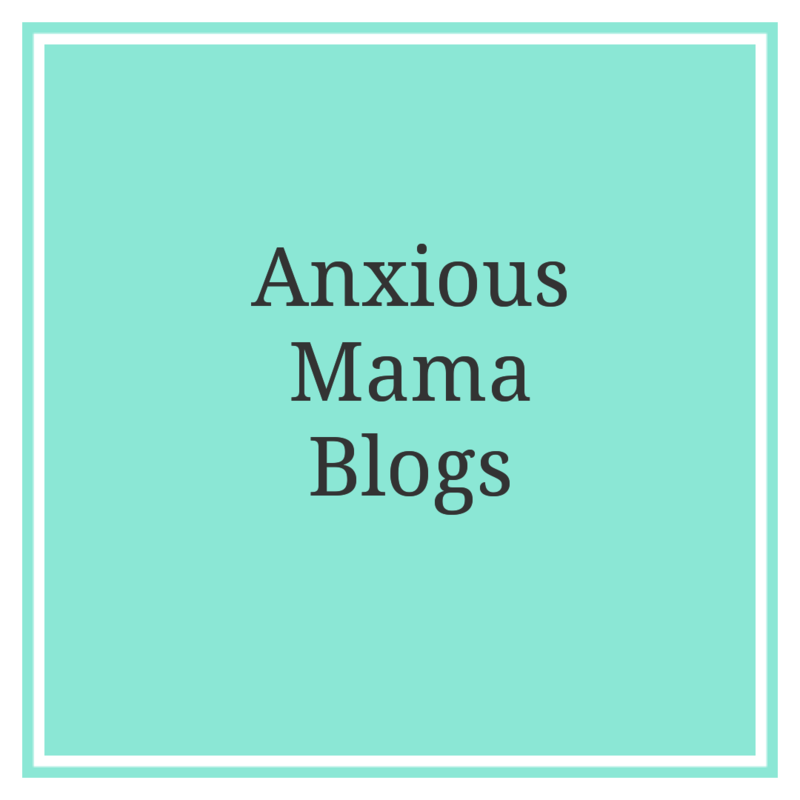 I really enjoyed my time but it was during this time that my anxiety began to creep up on me and that leads me onto …. Having a baby plays havoc with your hormones but for the 1st few months I felt happy and content. I had been struggling during pregnancy but had swept it under the carpet to deal with at a later date. That familiar feeling started to reappear with full force. With each child its brought some new additional worries to add to the bag. Lack of sleep and general tiredness meant that I didn’t start to tackle this until the end of the year. the words that every woman on maternity leave dreads …. its time to go back to work. Truth be told I hadn’t been enjoying my work prior to leaving for maternity and so was really not looking forward to going back, Now 3 months on and I’ve applied for another role within the company and actually am not hating the place! I started my little blog and Instagram page in September and honestly its the most positive thing I could have done. I have had some great opportunities, met some lovely people and its boosted my confidence no end. Originally it was just a creative outlet but its become much more! Tuesday was my 1st day back and I was welcomed in by my lovely team. Most of the day was spent deleting 1600 emails and I was extremely bored but ….. I had 2 …. yes 2 hot brews, not luke warm or warmed back up but actually hot brews. I had an actual lunch break and lots of adult conversation ( a lot of it was general, oh your back that went so fast type of stuff but was nice to speak to someone about something other than Peppa pig). I was very lucky to be able to leave early on the 1st day back as I am increasing my hours its a longer day than I am used to so this was a blessing. I’m really lucky that my mum has offered to help with the majority of my child care so I left him with her this week. I made sure that he had plenty of toys and a travel cot for his nap times and play time so that my mum could cope. Throughout the day my mum sent me approximately 20 thousand photos and updates ((slight exaggeration) and he was absolutely fine. He’s more than happy having lots of Nanna cuddles and he had a good nap for her. My checklist for the 1st week back …. In order to make sure that the 1st week went well I had a checklist of things to get ready and make it all a lot easier. It definitely helped me so if you are returning back to work soon or just looking to get organised here are some ideas …. Batch cooking – The weekend before returning I prepped some freezer meals and some slow cooker dump bags to make tea time a bit easier. The night before each day I set out all of our outfits for the next day, this takes the stress out of worrying about what to wear. Get the kids stuff ready – I made sure all homework, P.E kits, school bags and babies bag were packed and ready to go for the next day. Have a treat for the 1st day back – So we are trying to save money at the moment and normally I would take my milk and teabags in for brews and a lunch but for the first day I took to money to treat myself. its the little things! All in all the 1st week back was absolutely fine. In fact I actually enjoyed being back into working mummy mode. I had forgotten how important it was to have that side of my life not just for the money (although lets face it that’s the number 1) but for me and my mental health. Alfie’s 8 month update …. I have a 6 year old …. So yesterday my big girl turned 6 …. I absolutely love birthdays especially my close family and so may have gone a little over board. She was so excited on Wednesday she couldn’t get to sleep and this meant myself and her dad waiting up to secretly bring down presents, put up banners and blow up birthday balloons all ready for the morning. Of course its been the main topic of conversation for a good few weeks and I’m sure her teachers are pulling their hair out hearing about her plans. Birthday morning came and she was thrilled with her presents, her little eyes lit up when she opened the living room door and saw the birthday set up. She received an array of LOL dolls, my little pony castle, build a bear teddy and lots of money ( she’s a very lucky girl). I made her some birthday pancakes and we put a candle in and sang happy birthday and sent her off to school with her birthday badges proudly on her school cardigan. I walked home on a high and feeling like id won the mum game. After school we took her to spend her birthday money and then had a pizza hut tea for a treat. By this point she was shattered and moaned to go home through dessert but it was a treat for us at least. Tomorrow is her birthday party and I’ve only had 3 RSVPS!!! I know more kids than that are coming but the mums just haven’t bothered to let me know. Its so frustrating because I’m trying to sort out sweet cones and party food not knowing for sure how many kids are going to turn up. I’m currently sat with a list as long as my arm procrastinating by writing this blog post Fingers crossed it all goes well and I don’t end up downing a gin or 2 to get through it. I hope you have all had a great week. Let me know how you got through your kids parties and if you have any tips! Last week I decided to try a no spend experiment. I knew that I couldn’t commit to a full week so decided to attempt to spend zero pennies for 5 days. The only exception would be for absolute essentials or emergencies. We had done the shop that we normally do for the week and meals were planned so in all honesty it didn’t seem like a mammoth task. So the week was planned all meals sorted and the fridge full of what we needed for them. We spent today cleaning and sorting so not much need or opportunity to spend, today was definitely the easiest ( she says on the 1st day). The one stumbling block we encountered was after school, we stopped off at the park and this means a walk past the shop. It’s almost automatic to just pop in and get a few bits. The big girl wanted sweets but we managed to get away after a negotiation session. The big girl mentioned she wanted to go to a play centre after school. I nearly said yes and then realised that we were on no spend week so instead I promised a girls night. Now don’t get excited there were no cocktails or dancing involved ( ok its possible a small gin was consumed)… instead the big girl had a bath bomb in her bath and a pamper session followed by The great British bake off in bed with snacks. Spending averted…. This is where it started to get a bit harder. I very nearly, without realising went into the shop on the way home from the school run (we didn’t need anything purely out of habit). On looking back this would have resulted in at least a fiver spent on things that we ‘needed’ and I would do this most days. I realised that we were out of milk and so the other half picked some up on his way back from work but I am counting this as an essential. Its the big girls birthday next week and so I spent most of the night putting things in to my online basket for the party and then realising I couldn’t get it. I feel like this was just delaying the spending to be honest because this is all going to get ordered at the weekend but I did it none the less for the sake of the experiment. Today was a bad day for me personally and this sent my anxiety haywire. I was feeling down and really could not be bothered with cooking tea. We very nearly ordered a takeaway but resisted and instead threw something quick and easy in the oven and compensated with some chocolate. On the way home from school the big girl saw the ice cream van and asked for a treat which we managed to say no to but she did pull on the heartstrings a bit. One thing about this week is that I have had no cash on me anyway which is a blessing in disguise as you cant spend if its not there. I blame contactless for most of my spending these days …. I honestly though this would be a piece of cake and it was much harder than expected. I have come to a few realisations about my spending habits that will definitely help me to complete this in the future ( I would 100% do this again because on paper it has helped me to save). A lot of my spending is done without thinking ( how bad does that sound). A trip to the shop throw a few extra things in the basket that we don’t need and don’t really think about it but it all adds up. The kids pull on my heartstrings and I give in. Even at 7 months the little man gets me because I’m always browsing the baby areas in clothes shops. Boredom hits and I look to shop – might be online or a trip to the shops to get us out of the house. Emotional eating hits and takeaway is the one for me. This can get expensive on a bad month! It was really interesting for me to make these observations and it did make me feel a bit guilty that I take sending for granted. Now when I talk about absent minded spending I do only mean a few pounds here and there ( I am by no means rocker fella) but even so this all adds up. I would definitely recommend the no spend challenge. Give it a go and let me know how you get on.